The renowned restaurant critic, Masterchef judge and presenter of BBC Radio 4's The Kitchen Cabinet has one other skill. He's also a jazz pianist. 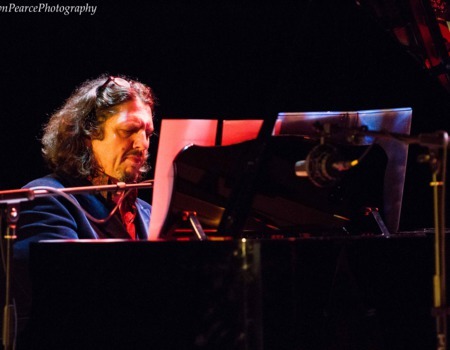 Now Jay brings The Jay Rayner Quartet: Songs of Food and Agony, to the stage: an ensemble of top flight musicians performing tunes from the Great American food and drink songbook including 'Cantaloupe Island', 'Black Coffee', 'One For My Baby', and 'Save The Bones'. There will be standards from the likes of Johnny Mercer, Harold Arlen, Blossom Dearie and Dave Frishberg. Alongside anecdotes from his life being paid to eat out on somebody else's dime he also talks about growing up with a mother, Claire Rayner, who was an agony aunt and plays tunes that draw on the narratives of the problem page letter. With the singer Pat Gordon Smith, bassist Robert Rickenberg and saxophonist Dave Lewis.